the defending pokemon cant attack during his or her next turn. 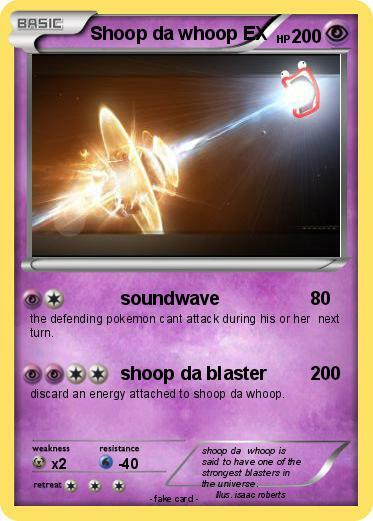 discard an energy attached to shoop da whoop. Comments : shoop da whoop is said to have one of the strongest blasters in the universe.